US Equestrian members have direct access to the benefit of the United States Olympic Committee’s (USOC) SafeSport© training and compliance. The intent of the Safe Sport initiative is to provide information, resources, and a protocol so that all members of the US Equestrian (USEF) community have awareness, tools, and a support structure to ensure a safe and positive environment for equestrians to develop their skills. US Equestrian depends on the eyes and ears of its athletes, coaches, and USEF Designees to support its Safe Sport Policy. US Equestrian’s partnership with the United States Olympic Committee (USOC) allows members access to resources and training that promote the safety and welfare of horses and riders. Learn more about safety and the Safe Sport Policy. The U.S. Center for SafeSport is excited to announce three two-part webinar series for parents of athletes, coaches, and sport administrators, featuring expert training from Michelle Peterson, a nationally renowned child-abuse consultant, investigator, and researcher. Webinars will be held in two parts, each lasting 90 minutes. Please find specific dates and times along with registration links below. Please note all times are listed in Mountain Time. 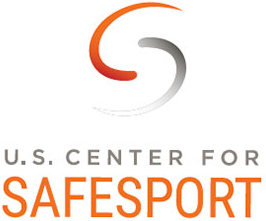 To accommodate as many attendees as possible, the U.S. Center for SafeSport will be offering each two-part series twice. These series will cover the same information, and participants should choose which sessions best fit their schedules. For those who cannot attend live, the Center will record the trainings and will circulate playback links in late October. To help the Center ensure they are best addressing your needs, participants will be asked to complete a brief online survey upon registration. This link will also be sent to all registrants directly from the webinar platform. To learn more about Michelle, please visit http://www.mpetersonconsulting.com/about/. To register, please select which of the below sessions best fit your position and availability and use the associated links to sign up. This entry was posted in Education on September 12, 2017 by ludlumfarms.